If one works as a resident wildlife photographer on a private game reserve it happens! 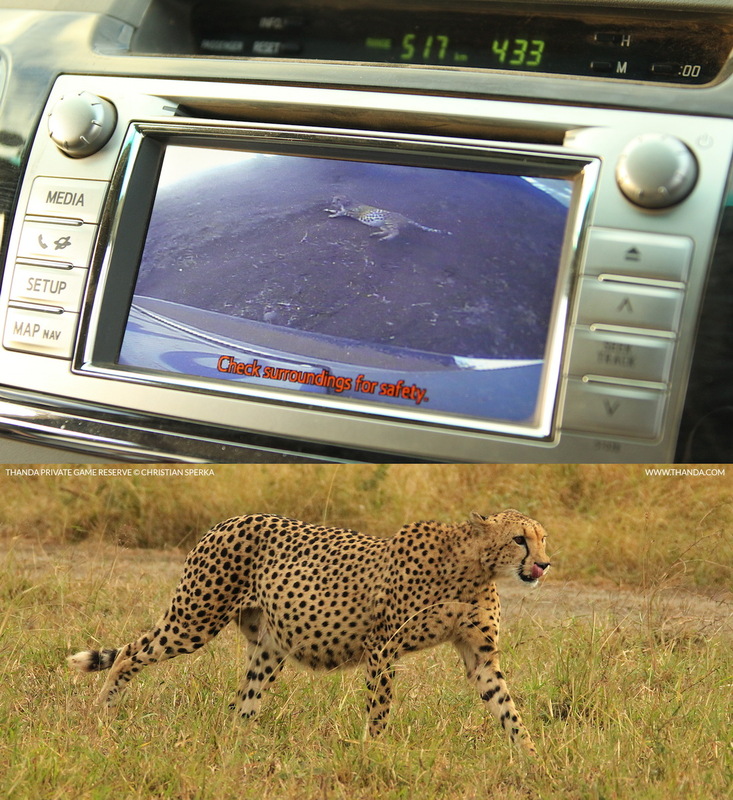 This is one of Thanda’s Cheetah brothers who decided to take a rest right behind my car. I had just finished a “guest photography lesson” and I was driving back home through the reserve when I ran into the two brothers. After watching them for a while they decided to pass my vehicle to continue up the road. When I put my car into reverse to get back onto the road this was the image I saw! Needless to say, I did not back up for a while. ← Much more than just entertainment!